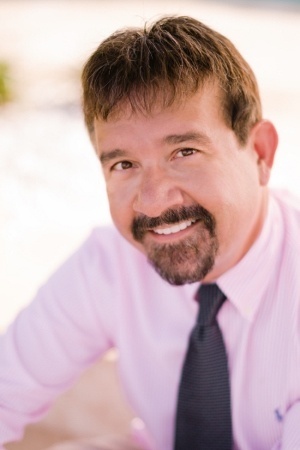 Joseph, by the way, is an internationally sought-after speaker, consultant, and New York Times No.1 best-selling author. I met Joseph in 2010 when he participated in Bathroom Blogfest with Quality Toilet Paper and Starbucks based on his book Leading the Starbucks Way (see Toilet Paper, Advertising & Bathroom Blogfest 2010). 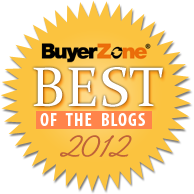 He contributed Wow Your Customers, Starting with The Zappos Retail Experience to this blog in 2011, sharing insights from his book The Zappos Experience. His other titles include The New Gold Standard (about The Ritz-Carlton Hotel Company) and Prescription for Excellence (about UCLA Health System). CB: Joseph, how did Driven to Delight come about? JM: I had been asked to help Mercedes-Benz USA (MBUSA) benchmark some of the best customer experience brands. It was fairly early in the tenure of Steve Cannon, the MBUSA CEO. In response to that request, I contacted leaders I had worked with at The Ritz-Carlton Hotel Company and Zappos and organized a panel discussion for MBUSA staff. I facilitated that panel and included Steve Cannon on it. At the event, Steve and I talked about his transformation journey and shortly thereafter I was participating in the journey with the brand – chronicling MBUSA’s concentrated efforts to revolutionize the experience of their customers. CB: What was your biggest surprise as you worked with Mercedes-Benz USA? JM: I’ve worked with and written about iconic luxury brands in the past and expected that, given the brand equity involved, Mercedes-Benz USA would be slow to respond, conservative and maybe even stuffy. That couldn’t have been further from the truth. Leadership was exceptionally approachable. They are energetic, forward-thinking, empowering and great partners with whom to work. CB: Why do you feel this book was needed for business today? JM: Most of my prior books are about brands that have a rather long history as customer experience leaders. They have established cultures that support and encourage customer-centric innovation. In fact, most business leaders across the world are trying to become more customer-centric. Those leaders are stewarding businesses that have a history as a being product or service-centric. As such, Mercedes-Benz USA leadership was addressing a problem near and dear to the hearts of many entrepreneurs and leaders: how do I increase the customer-focus of my company by mobilizing people, adapting processes, and leveraging technology. I also knew the quality of Mercedes-Benz USA leadership and trusted that their aggressive efforts would be illustrative to all those who were on the same journey. I could not have been happier that they allowed me to participate with them and chronicle their grand transformation adventure. CB: What are some of the key concepts or takeaways for the book? JM: The key message is that customer experience is a business strategy and not one to be pursued by the faint of heart. In order to be successful in engaging your customers, building loyalty and having them refer you to their family and friends, you have to build your entire business around the customer. It requires more than a few initiatives. It must be the lens through which every decision must be considered. It isn’t something to be done, it is the way things are done! CB: In the book, you talk about the “visioning” process undertaken at Mercedes-Benz USA. What stands out about that component of the leadership journey? JM: On the surface, the leadership visioning process doesn’t differ from what I experience and facilitate for other brands. The executive team meets together to identify strengths, weaknesses, threats, and opportunities. They attempt to position the company around a handful of key strategic objectives which they articulate and champion after that strategic planning session. Here is the wrinkle at Mercedes-Benz USA. Leaders literally had their “vision” captured in detail by an artist. Not only did they describe their leadership vision, but they depicted it as well. That artistic rendering was a powerful and evocative tool for helping individuals who represent Mercedes-Benz USA literally “see” the vision. As a good friend of mine, Terry Paulson, notes, the difference between an effective leadership vision and simply a hallucination boils down to how many “see” it. CB: What obstacles did MBUSA leaders encounter in their efforts to share their vision? JM: The relationship between an automobile manufacturer and the people who interact with consumers on a daily basis is an interesting one. The manufacturer employs a staff that supports the operation of dealerships. The customers who buy and service cars deal with the employees of independently owned dealerships. So, in order to have a “Mercedes-Benz branded customer experience,” the car manufacturer has to influence dealership personnel to align with the desired customer outcome – every customer, every time. The key word there is “influence,” not control. Driven to Delight looks at the painstaking process of gaining a common view of the customer journey, and methods for measuring, aligning, and influencing positive outcomes, in an upbeat yet accountable way. CB: You talk about the importance of employees having “customer” experiences. What do you mean by that? JM: Have you ever asked a server at a restaurant about an item on the menu only to have them say something like, “I haven’t tried it, but I hear it’s good.” That server hasn’t experienced the item like the customers have. At Mercedes-Benz USA, a large proportion of employees at dealerships hadn’t had meaningful time behind the wheel of the very vehicles their dealership sold. It is hard to get excited about or share your passion for the brand if you haven’t experienced the product or service yourself. The book dives into the evolving strategy Mercedes-Benz USA leaders deploy to assure that employees become brand ambassadors through the experiences they are provided. The first effort was referred to as DaSH, which stands for Drive a Star Home (Star is a reference to the Mercedes-Benz logo). In the DaSH program, vehicles were distributed to every dealership and every staff member took a vehicle home for multi-day use. In a later iteration of the program, brand representatives participate in an experiential program referred to as brand immersion. 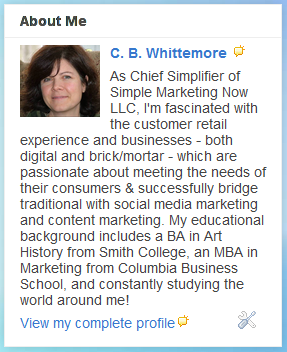 That program has a driving component and so many other elements of brand history and customer experience training. "driven to delight. it is not just a phrase. it is a path, a promise, a belief. it is a commitment to creating positive relationships. to making people smile. and to leaving them with a sense of complete trust. driven to delight means exceptional personal treatment. it is a reminder that the journey is never done. that there is always a more thoughtful way. and throughout each interaction we must remember that the best or nothing cannot just be a description of our vehicles. but it must also represent the people behind them." CB: In Driven to Delight, you emphasize the importance of customer journey mapping. Can you explain what journey mapping is and why it is important? JM: In the mid-1980s, G. Lynn Shostack wrote a Harvard Business Review article titled “Designing Services that Deliver,” in which she described a mapping process she referred to as a service blueprint. That blueprint represented a single document that looked at the interaction between a customer and a brand from the standpoint of fail points, time frames, and profitability. Over time, a methodology has developed (often referred to as customer journey mapping) which attempts to look at customer goals and needs across all contacts with a brand. The process also identifies high value contact points, gaps, pain points, and the customers’ emotional state throughout their consideration, sale, and service journey. CB: You addressed customer experience as an element of leadership legacy at Mercedes-Benz USA. Why did you frame it that way and how did leaders at MBUSA view legacy and customer experience transformation? 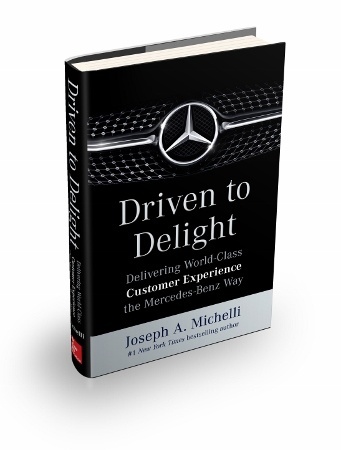 JM: Senior leaders at Mercedes-Benz USA cast “customer experience” in the context of their legacy. They realized that leaders can typically only do a few things extraordinarily. If you aspire for too many things you often achieve mediocrity broadly. Leaders at MBUSA believed that they could move their organization in the direction of customer experience excellence and they publically and repeatedly proclaim that customer experience will be the legacy against which they wished to be judged. 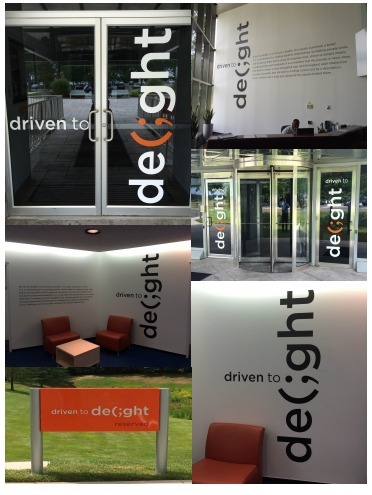 CB: Joseph, thank you and congratulations on Driven to Delight! What's your reaction to being as fiercely committed to delighting customers as Mercedes-Benz USA? How might you reinvent your customer experience so it, too, is driven to delight your customers?